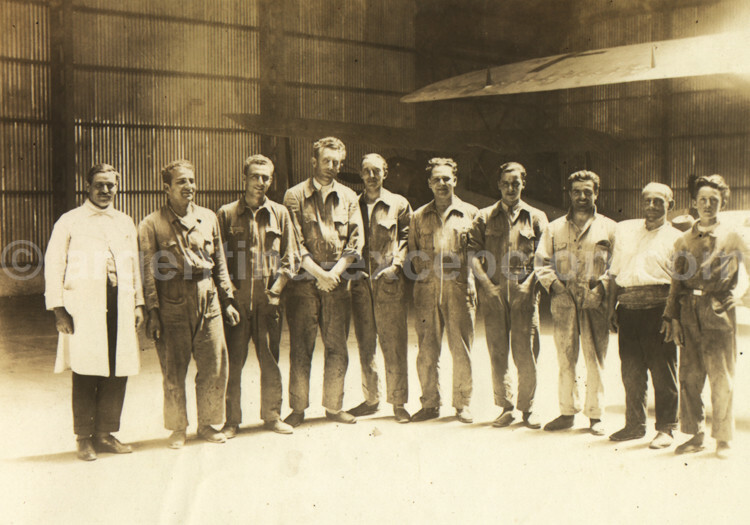 Find out more about the first airmail company that crossed the Atlantic ocean. 1918: end of the First World War, a conflict that, for the first time in history, used aviation that had been born some years before. Pierre-Georges Latécoère, an aeronautical manufacturer, was convinced that he could create a civil regular airline to transport mail to France, Africa and South America. 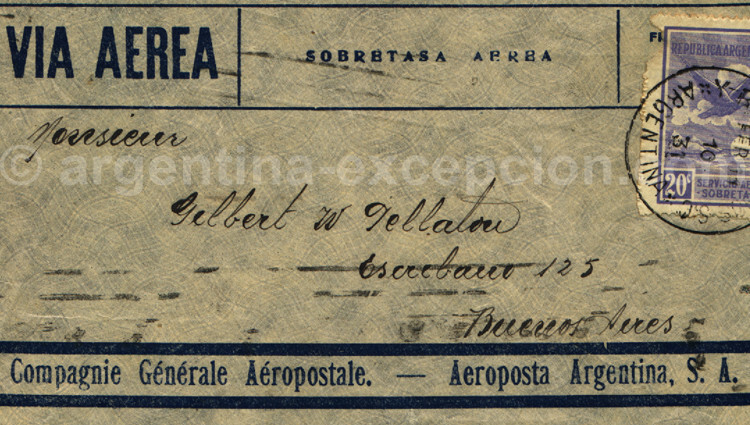 In those times, the mail took more than a month to get to Buenos Aires on a ship. To convert the battle the Salmsons would save time. Latécoère submitted his project before the French government. A crazy project: the operational range of the planes was only 400 km! In order to convince the others, by the end of 1918, Latécoère organized a trial flight that joined Toulouse and Barcelona going over the Pyrenees. 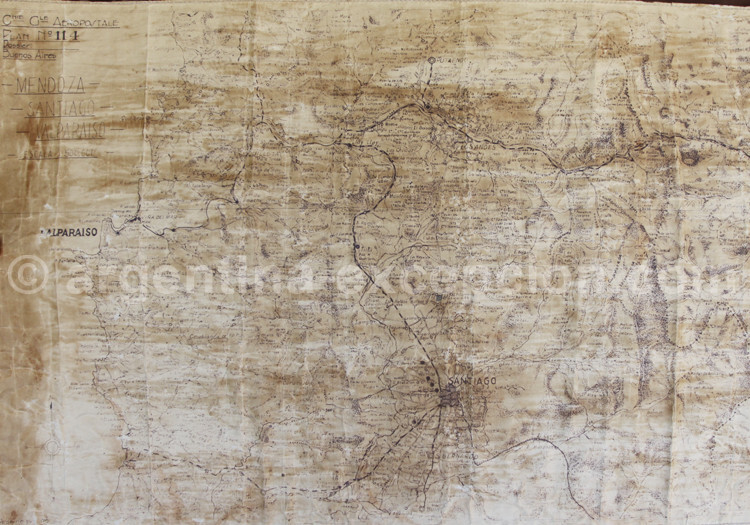 Despite the Spanish government’s opposition who did consider it a good idea that somebody flies over their territory, Latécoère went ahead with his project. In 1919, he succeeded in joining Toulouse with Rabat, in Morocco under the French protection, after a twenty-eight-hour flight. The mail airline was opened , Marshal Lyautey and the army supported him and gave away Breguet planes that were safer and bigger. 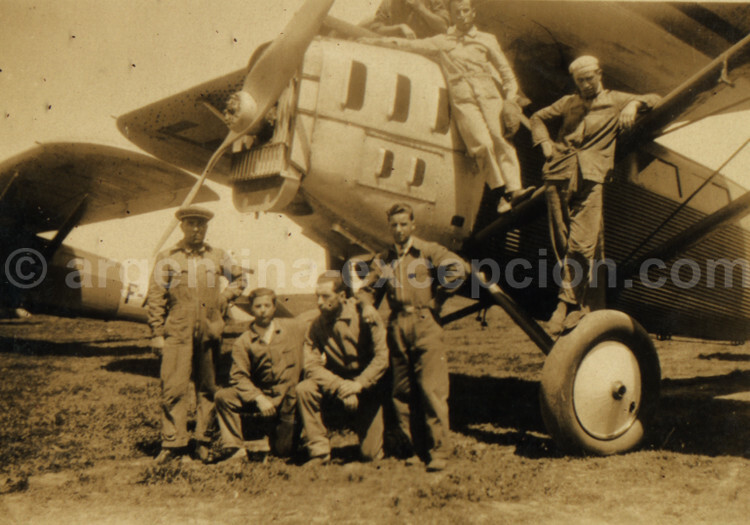 The first airdromes were built in Spain for the stop-overs. The former pilot officer Beppo de Massimi, who supported Latécoère’s project, started to recruit his former war pilots, among whom we can find Didier Daurat, who believed in the “spirit of the airline” imposing an iron discipline. Purpose: regularity and punctuality around the world. The beginning was very difficult and the material was not adapted. The pilots flew only with their eyes, with no instruments onboard, with no radio, and sometimes with carrier pigeons! Emergency landings occurred frequently. Aviators joined the airline as a religion, with faith and sacrifice. Before flying, they had to work as repairmen at the repair shops: they had to know the engines by heart and be able to repair any breakdown.The purpose was to get on up to Dakar. On that occasion, Daurat recruited civil pilots: Jean Mermoz, Henri Guillaumet, Marcel Reine, then Antoine de Saint-Exupéry. The 1,200 km of the desert between Morocco and Senegal could be gone through, and in 1925 the route Toulouse-Casablanca-Dakar was opened. The range was not ready yet; however, the planes flew in pairs in case they had any problem in the desert: in case of an emergency landing, because they risked being kidnapped by the rebellious tribes of the Sahara or dying of thirst before being rescued. Latécoère developed the construction of new planes and kept his purpose of expanding the route up to Río. But the French government did not approve the subsidy to the mail up to South America, a very dangerous project. A wealthy French industrialist who lived in Brazil, Marcel Bouilloux-Lafont, bought the company in 1927, and would change its name for Compagnie générale Aéropostale. Latécoère provided the machinery. With his Late 26, there was no longer need to make a stop-over, the operational range was 5,000 km, the distance between Toulouse and Dakar. 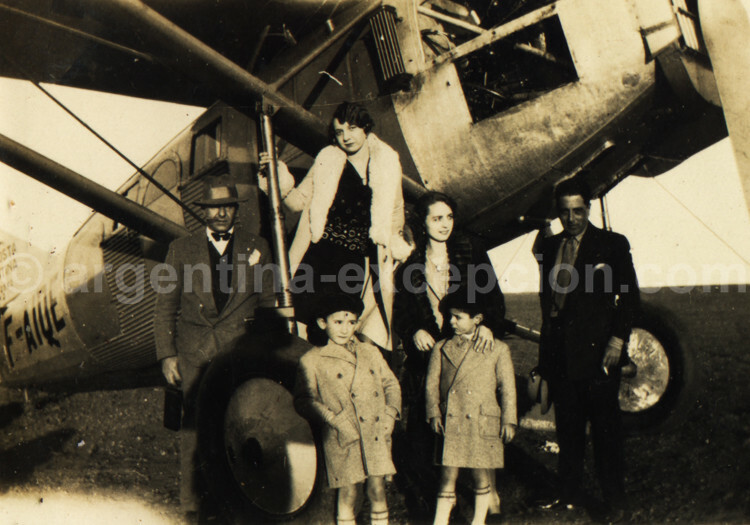 In 1927, Mermoz and Négrin’s dream came true when they joined the two cities with a direct flight. Despite the deadly accidents, the pilots always volunteered for new heroic deeds. 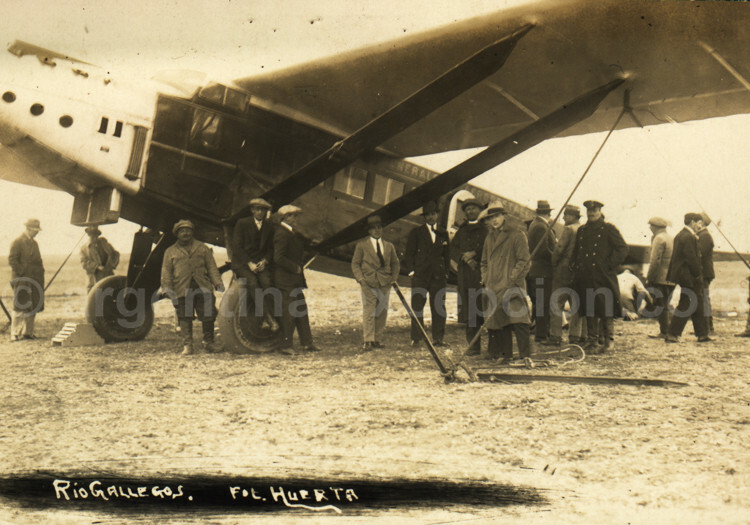 In 1928, the first airmail connection between France and South America was opened. 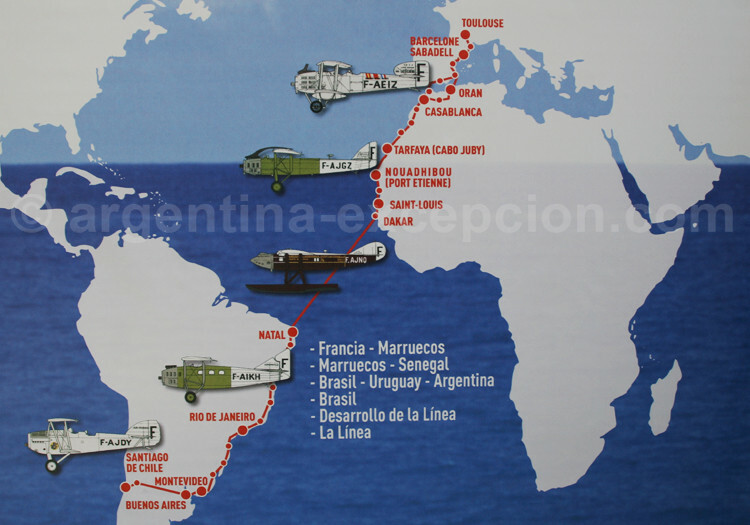 On May 1st, the first flight between Toulouse and Buenos Aires, going over the Atlantic on a ship took nine days! 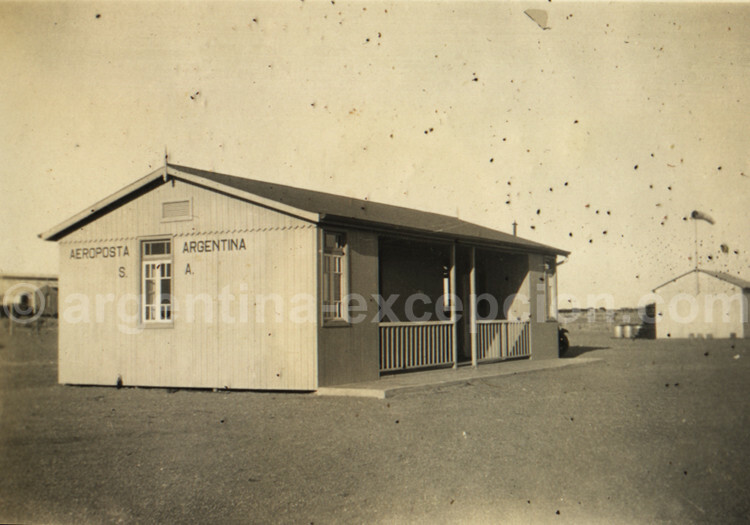 Vicente Almandos Almonacid suggested creating an Argentine branch that would ensure the mail service with Paraguay, Chile and the Patagonia. In Brazil and Argentina, the pioneers would tear the soil apart to open new routes. And to get up to Santiago, going through the dangerous mountain range. Only the Potez 25 could fly up to 7,000 meters high and, thus, could go through the Andean mountain range on a regular basis. 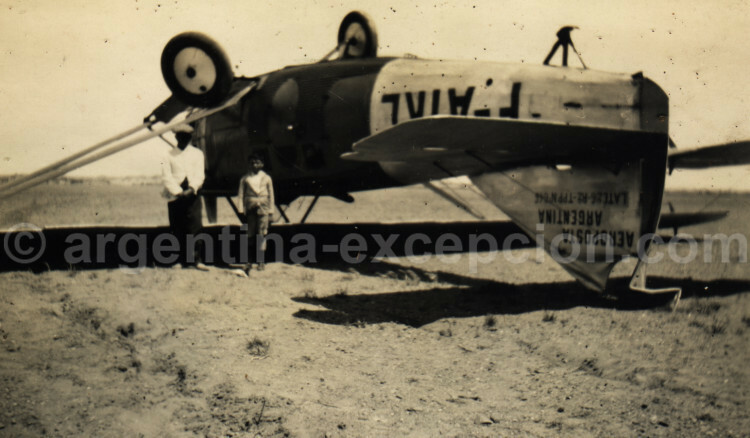 In 1929, Mermoz inaugurated the route Argentina-Chile, insured by Guillaumet. A risky achievement on each one of the flights. 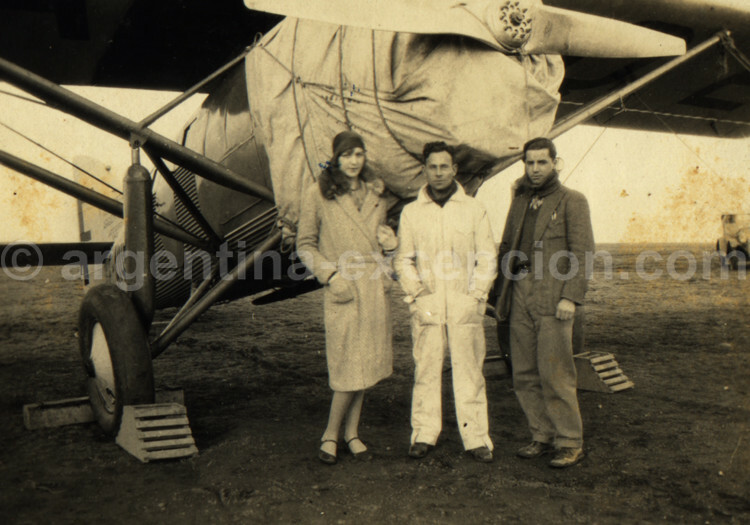 And it was also Mermoz who broke the last record in 1930 with his first flight over the South Atlantic onboard a Late 28, between San Luis in Senegal and Natal. But such an experience was never repeated. The mail continued being transported on a ship between Dakar and Natal, the shortest distance between Africa and America, to then change to the air route to Rio, Buenos Aires, Santiago. After the 1929 economic crisis, Bouilloux-Lafont faced financial difficulties. Aeroposta became an important airline that covered 17,000 km, with 80 pilots, 250 repairmen, 250 sailors, 218 planes, 21 seaplanes and 8 vessels. To save the company from suspending the salaries, it had a subsidy from the French government and the concession. It would never make it. In 1933, in Paris, the government decided to merge all the territory companies and to take over Aeroposta. It was the end of the legendary adventure of the airline and the birth of Air France.